B12 Vitamin (Cobalamin) is a water soluble vitamin. Essential for healthy nerve system development, cell development, blood cell development, manufacture of nerve-cell covering and maintenance of normal nervous system function. B12 Vitamin(Cobalamin) acts as co-enzyme for normal DNA synthesis. It also promotes normal fat and carbohydrate metabolism and protein synthesis. Beef, beef liver, blue cheese, clams, dairy products, eggs, flounder, herring, liverwurst, mackerel, milk, oysters, sardines, snappers and Swiss cheese. Note: B12 Vitamin (Cobalamin) is not available in plant foods. If you take vitamin B complex supplement, you will find B12 vitamin in B complex vitamin supplement. One of the best online shop you can get best vitamin B 12 supplements is at Wonderlab.com. Where to get best Multiviatmin Supplements that Contain B12 vitamin? Xtend-Life has a range of multivitamin supplements cater for different needs and budgets. Please read our write-up to the comparison of Xtend-Life multivitamin supplements. Then choose one that suits your need. 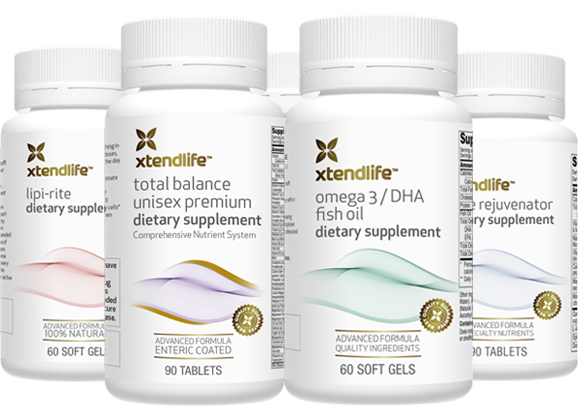 Read our review about Xtend-Life online. Vitamin B12 is found in good multi-vitamin supplements. Take multi-vitamin daily shall provide you with sufficient amount of B12 vitamin. Go to top of vitamin B12 page.